MOSCOW - A RUSSIAN Airbus on a domestic flight with 122 people on board made an emergency landing at Novosibirsk on Thursday, Ria-Novosti news agency reported. The Aeroflot Airbus A320 landed in the western Siberian city after its windshield cracked, said a security official quoted by the agency. The Moscow-bound plane had taken off in Irkutsk. 'No one was injured in the incident,' she said. 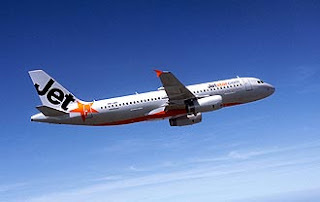 Earlier, an Australian Jetstar aircraft with 203 passengers and crew made an emergency landing on the island of Guam after a cockpit fire broke out as the aircraft flew over the Pacific Ocean. The Airbus A330-200 aircraft was flying from Japan to Australia late on Wednesday night when, four hours into the flight, smoke was seen in the cockpit and the right-hand cockpit window area caught fire, Jetstar said. 'One of our pilots utilised an extinguisher and we conducted an emergency diversion to Guam where the aircraft landed without incident,' Jetstar spokesman Simon Westaway told Australian radio. All passengers and crew were safe and no one had been injured, the airline said, adding that the flight was carrying mainly Japanese passengers. The aircraft was only two years' old and would be held in Guam until the cause of the fire was established, Jetstar said.